A broad stationary surface low pressure system is centered over the southeastern Yucatan Peninsula and is gradually becoming better defined. Although showers and thunderstorms, along with strong gusty winds, are confined primarily to the adjacent waters of the northwestern Caribbean Sea, gradual development of this system is expected during the next couple of days as it drifts northward near the Yucatan Peninsula. Environmental conditions are forecast to become more conducive for development through early next week, and a subtropical or tropical depression is likely to form by late Saturday over the southeastern Gulf of Mexico. Subtropical Storm Alberto is the first storm of the Atlantic season, which doesn't officially start for another week. Alberto is sitting east of the Yucatan Peninsula and is expected to move north into the Gulf of Mexico, where conditions are favorable for further development. Forecast models have come to better agreement on the storm's track, eventually bringing it ashore on the northern Gulf Coast, then across the southeastern U.S. But with most of the convection on the east side of the storm, heavy rain is expected to fall across Florida. Welcome all, the season starts early lol. Before we get too buried, I want to post a couple links and stuff that could be of use during this storm season. I ended up with 4.5 inches of rain. Interstate Batteries forgot to put bleach on their checklist? Illegal immigration has reached its tipping point. Last edited by Deuce on Wed Aug 08, 2018 2:41 pm, edited 1 time in total. 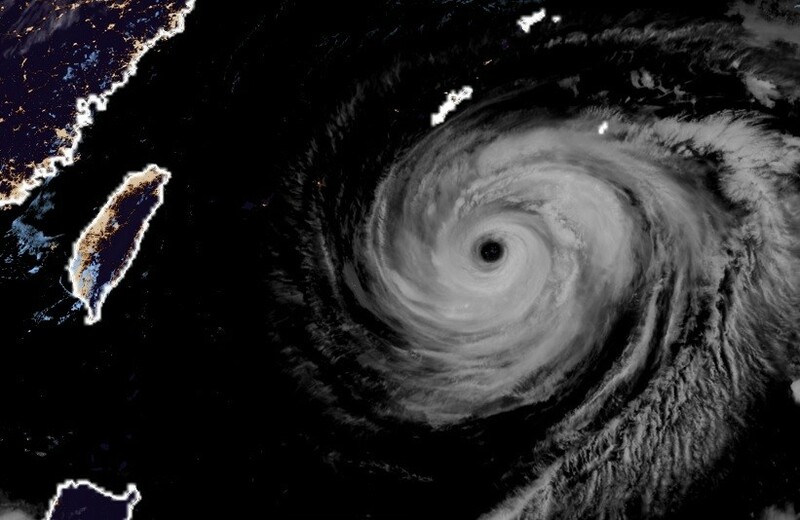 Has anybody looked at Super Typhoon Maria, bearing down on Japan? Great googly moogly. In meteorological parlance, a tropical system undergoes "rapid intensification" when its winds increase 35 mph in a 24-hour period. On Thursday, Maria was just a tropical storm with winds around 70 mph. But from Thursday to Friday, the storm exploded. Warm waters and calm upper levels winds allow the storm to blow up to a Category 5 monster with estimated 174 mph winds in 24 hours - - a 104 mph increase. 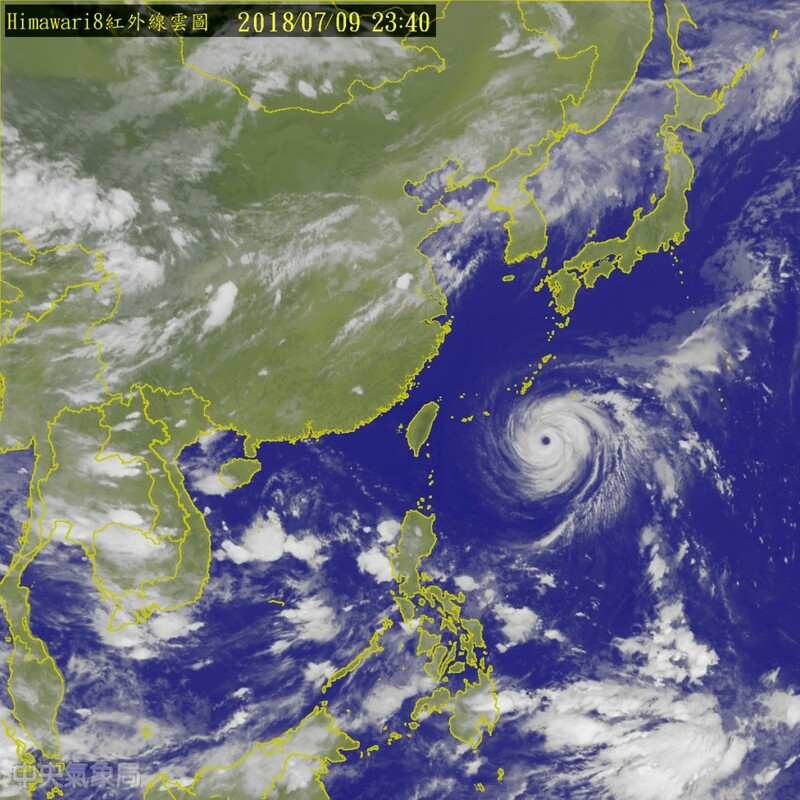 The storm weakened a bit over the course of Friday and into Saturday before picking steam again on Sunday and reaching Category 5 status for the second time in its lifespan. It has continued to hold sustained Category 5 winds of 160 mph. It has been a fairly quiet hurricane season to this point. Let's hope it remains that way. Buc2 wrote: It has been a fairly quiet hurricane season to this point. Let's hope it remains that way. You're the guy that starts yelling to the pitcher that he has a perfect game going, aren't you? Oops. Let's hope I didn't jinx it. For some reason, the eastern Atlantic has had unseasonably cold SSTs this year. Also, the heavy wind shear is tearing anything that tries to form apart. Season could start to pick up soon as the MJO(which has been helping spark all the activity in the Pacific) slowly moves into the Atlantic and as the MDR continues to warm. that said .. I'm glad .. I don't need the tropics to be what they were last year with me out of the country. Major Hurricane Lane is about to make a serious close pass to Hawaii. Very likely to start seeing the effects soon. Keep a watch on the delivery from the west coast of Africa . In the next two days, it will form into something and set a direction. Next week this time, we may be in for something in Florida. Really hard to say. Most model systems have the storm(likely to be designated Florence) curving north before being a threat to land. More interesting storm IMO is the one that the models have potentially forming on the east coast of Florida, moving across the state, and then entering the gulf in a week. Not projected to be strong, but you can never be sure when it comes to RI in the gulf. Why can't someone just go over there and lay some sod across the middle of Africa? The Atlantic is starting to get really interesting. You have Florence, which the Euro now drives into the Carolinas as a hurricane. You have Gordon-to-be below Florida, likely impacting the gulf coast as a TS or worse. And there's a tropical wave about to come off Africa that long-range models hint at taking a low lat approach towards the Southeast.